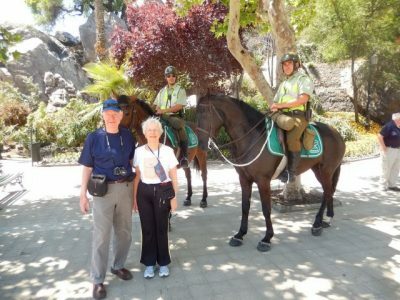 Our guest post comes from Bill & Bonnie Neely of: Real Travel Adventures Ezine – Your free online monthly travel magazine with hundreds of features and photos on travel to anywhere. We have wanted to see the bottom of the world for years, and we almost went as travel writers six years ago when we had the possibility of traveling on a cargo ship from South Africa in two of the twelve tourist spots they allowed. At that we wanted to go also to Antarctica so that we could say we had been on every continent. But in the meanwhile we read several horror stories of the dreadful difficulties for ships and planes making that treacherous crossing. We changed our wishes when one friend who went there said, “It’s only ice and penguins.” So we decided on Patagonia only. 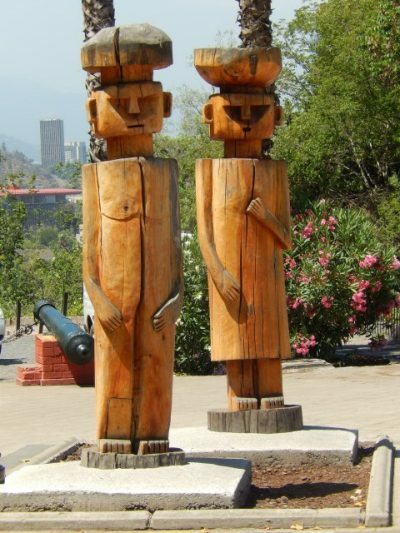 Bill studied several expensive tour itineraries and then contacted Say Hueque Tour Company in Buenos Aires, Argentina, and asked them to plan an economical trip for us to see the best highlights of Patagonia. We received the planned itinerary and made our plane reservations. We couldn’t find out much about Patagonia, and we later learned that it is because the area has featured commercial tourism only in the last 15 to 20 years. We were met by a van with a nice driver who knew no English. We had requested to stay in places in which we would mix with local tourists instead of American or luxury hotels. Our language challenge began…We quickly dug our college Spanish out of the recesses of our brains! We checked in to the Monte Carlo in Santiago and fell quickly asleep. Our rooms were quite unique and the elevator tiny, reception area and bar plain, but adequate, except all the showers left much to be desired. After a good night’s sleep we had our first Chilean breakfast buffet in the hotel and found a large array of good foods included in the modest price of the room. We set out to explore the city park just across the street and the historical central square of the city and appreciated how well located our hotel is. I was looking up as I walked through the city streets and suddenly, painfully fell literally on my face after banging both knees on a two-foot high large pole in the center of the sidewalk. It hurt a lot and many men rushed to help me up. I inwardly was afraid I could not do the hiking we planned. After assuring all that I was fine we walked on, settling on a bar, Rez, for a sandwich lunch. The waitresses, whom we nick-named “butter-butts,” had the legendary, dream girls of South America figures and were barely covered top and bottom! We enjoyed our first of MANY ham and cheese ( jamon y queso) experiences! Everyone raved about Chilean beer. We then had a guided walking tour of the Constitution Square and government buildings. We walked past the Presidential Palace called “La Moneda.” We climbed hundreds of stairs to see the oldest cathedral, Santa Lucia, built on the site where original Mapucho Indians gave birth. (How did women in labor get to the blessed, sacred hilltop? We barely made it! ) The hilltop offered great views of the city of seven million people. The park is a historic monument and many city people enjoy outdoors in this lovely setting. We had a LONG ride in heavy traffic to the “market,” which turned out to be a factory tour. Bill and I at first were furious and felt we might be conned daily with factory tours (like in India.) But when we arrived there we were very glad to be introduced to the local lapis and copper items were beautiful, and we girls each happily bought precious souvenirs. We were introduced to pisco sours, the typical Chilean drink, and we all wanted more! Tired, we had delicious dinner in our Hotel Monte Carlo at the little bar restaurant, Cosa Nostra, and had our first Chilean stew, which we found delicious. Many of the hotels and small inns have a fixed menu dinner for nominal prices, and we took advantage of each of these since it prevented taxi service and late nights. Dinner hour begins at 8 P.M. in Chile, and after long days of sight-seeing we always prefer early sleep. We only had one full day in Santiago but were impressed with the beauty and cleanliness everywhere. All the locals made us feel welcome, and there were not armed soldiers on the streets, as in so many other Latin countries. Instead we saw mounted police on horseback, and they were very friendly. New ones were being commissioned in a large ceremony in front of the majestic Santiago Cathedral. When we commented on this we were told, “We don’t fear terrorism since we don’t sell arms or start wars.” Wow! There was almost no air pollution and we were happy to have beautiful, sunny weather about 90 degrees…their summer. Crime is very low there and we always felt safe.